wanderlust ATLANTA: ATLANTApix: Want to be on TV at the Fox? 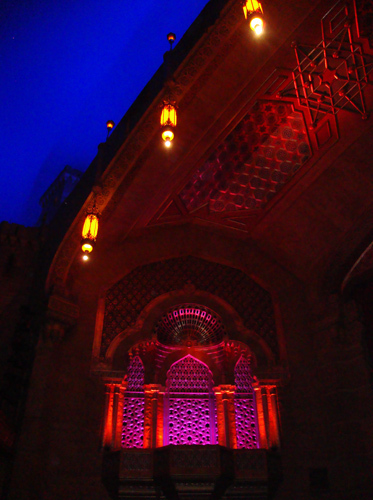 The Fabulous Fox Theatre is one of the crown jewels of Atlanta. On the brink of demolition in the 1970s, the 1929 Moorish and Egyptian themed grand theatre was saved at the behest of a powerful public outcry to Save the Fox. Over the next few days, the public is being treated to free tours of the Fox, compliments of the Atlanta Preservation Center through their Phoenix Flies program. The Fox can seat more than 4,600 guests and hosts approximately 750,000 annually. The Theatre is the site of concerts, special events, and the Coca-Cola Film Festival that features current Hollywood box office hits as well as globally loved classic films. If you've ever wanted to be on TV, here's your chance: Next month, April 2011, the television show "America's Got Talent" will be taping in the Fox Theatre and they're giving away free tickets of the filming. Thanks Travis. I like the blue girl too. But I've not been the Oglethorpe Museum, not yet. There is so much going on at at our colleges.